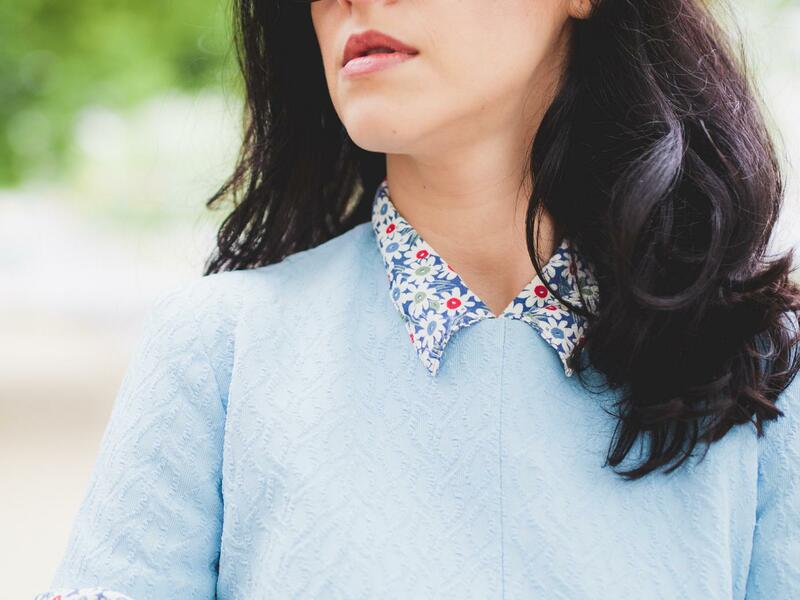 Do you remember this baby blue vintage dress? 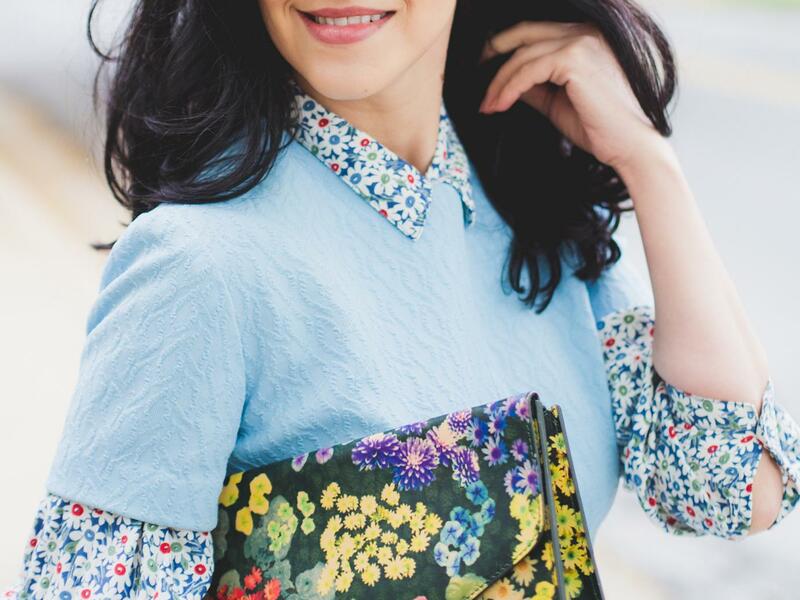 I remember wearing it for the first time at a dinner in New York with a group of ladies that I worked with, in one of my first group collaborations here on the blog. You can see more photos with that look Here. And now after a couple of years (4 to be more exact), I said to give it another try. 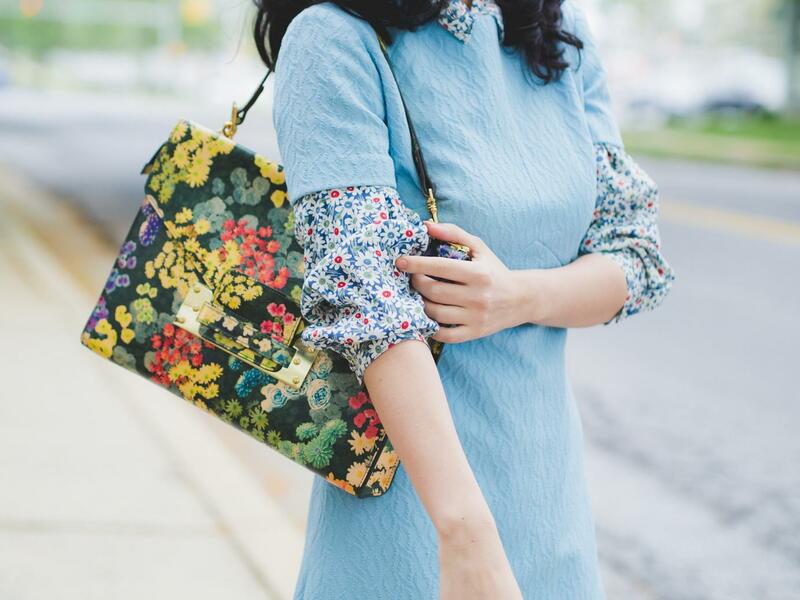 This time, I paired it with a floral shirt underneath and a floral bag. I kept it casual and wore flats as we had to walk a lot in the city in that day. Looking so unique and chic! Love your style, always so feminine and elegant! You promised us pretty for 2016 and you are certainly delivering. You always look great in blue, regardless of the shade. I also love clothes that stand the test of time and our world benefits from this ‘slow’ fashion approach too. 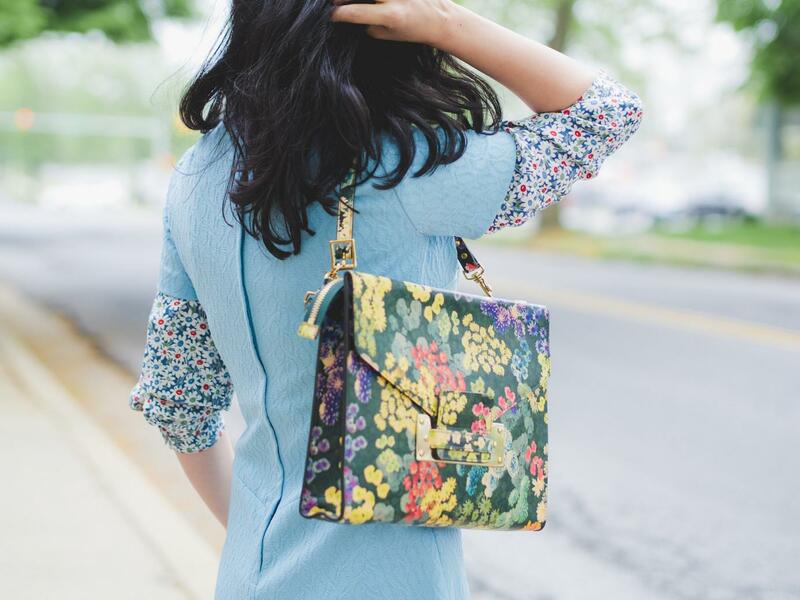 I love this floral print bag, it’s gorgeous. You look great on that dress! A shirt under a dress is such an excellent idea ! I will try this asap ! !